Definitive collection of big band and swing music from the greatest stars of the era. 3 CDs contain a whopping 68 songs. In the 1930s and 40s, the most popular entertainment was big bands playing swing music. This definitive collection contains every major hit of the era. 68 songs presented on this amazing 3 CD set. 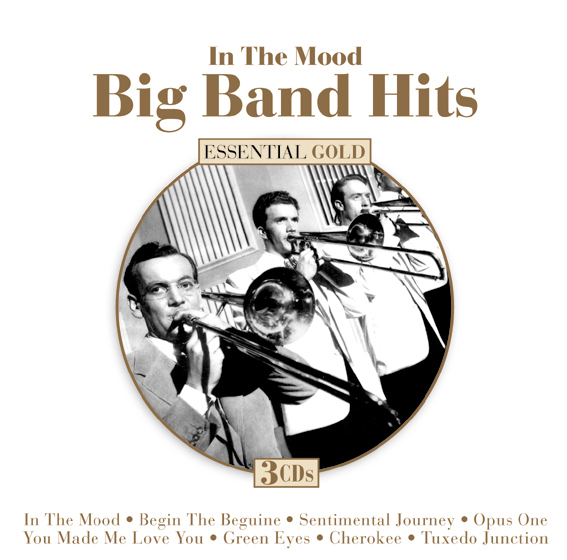 Music legends included on this collection are Glenn MIller, Duke Ellington, Benny Goodman, Artie Shaw, Count Basie, Tommy Dorsey, Jimmy Dorsey, Woody Herman, Gene Krupa, Vaughn Monroe and many more. Orrin Tucker v/Wee Bonnie Baker - Oh Johnny, Oh Johnny, Oh!